"Push Push" is a song recorded by an American Pop and R&B singer Kat Deluna featuring Akon which is the first official single off her upcoming album "Inside Out". The song was written by Nasri, RADIO, Tiwa Savage, Kat Deluna and produced by RADIO will be released in the first quarter of year 2010. Enjoy the music video and please report on the comment post if you found Kat Deluna - Push Push video is broken. Push Push lyrics by Kat Deluna can be found below the video. "Captivated And Electric Kiss" is a song performed by Lady Gaga at NYU which is very early tracks while she was still known as Stefani Germanotta. She told both stories very well and this is a very good performance. Enjoy the music video and please report on the comment post if you found Lady Gaga - Captivated And Electric Kiss video is broken. Captivated And Electric Kiss lyrics by Lady Gaga can be found below the video. "Feel It" is a song recorded by Three 6 Mafia featuring Tiësto, Sean Kingston & Flo Rida from their tenth studio album, "Laws of Power". The song is the official third single produced by Tiësto. The music video was shot on October 9 2009 at The Bank club at Bellagio in Las Vegas. Enjoy the music video and please report on the comment post if you found Three 6 Mafia - Feel It video is broken. Feel It lyrics by Three 6 Mafia can be found below the video. "Finale" is a song performed by a group of rapper Young Money (Lil Wayne, Drake, Mack Maine, Shanell, Nicki Minaj, Lil Twist, Lil Chuckee, Tyga, Jae Millz and Gudda Gudda) from their collaboration album from Young Money Entertainment titled "We Are Young Money". The album was released on December 21, 2009. Enjoy the music video and please report on the comment post if you found Young Money - Finale video is broken. 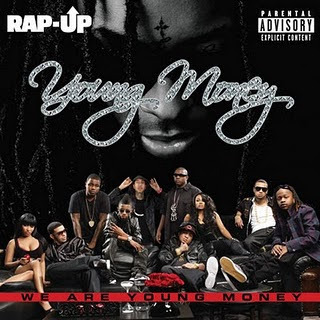 Finale lyrics by Young Money can be found below the video.